The Earth's crust is a dynamic and evolving structure, a fact which is evident when earthquakes hit and volcanoes erupt. For years scientists struggled to understand the Earth's movement. Then in 1915, Alfred Wegener published his now famous book “The Origins of Continents and Oceans,” which presented the theory of continental drift. His theory was slammed by mainstream scientists at the time, but by the late 1960s, his theory was thoroughly accepted. It laid the groundwork for the modern day theory of plate tectonics; a theory that describes the Earth's crust as being made up of several plates. Today, those plates have been thoroughly studied and four types of tectonic plate boundaries, areas where the plates meet, have been described. The currently held theory of how the continents on Earth came to be in their present locations is called the theory of plate tectonics. The theory states that the Earth's crust is made up of roughly 12 plates, sections of the Earth's crust that float upon the liquid rock mantle that lies just beneath it. While plate tectonics is based upon Wegener's theory of continental drift, the mechanism for plate movement was developed much later, and continues to be a field of active research to this day. It is now understood that the force that moves the plates comes from the movement of the liquid mantle. 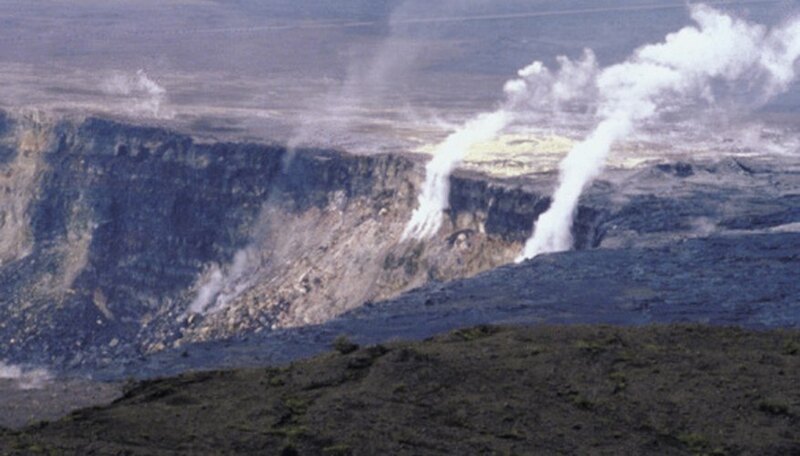 Hot liquid rock rises up from deep within the Earth's core, cools as it reaches the surface, and sinks back down, creating giant circular convection belts. Separate currents move the plates, resulting in the dynamic movement of the Earth's crust. Divergent plate boundaries occur where two plates are pulling away from each other. This results in what is known as a rift zone, an area defined by high volcanic activity. As the plates pull apart from each other, new crust, in the form of liquid lava, is released from deep within the crust of the Earth. One famous rift zone on land is the Horn of Africa. Here, the horn is being pulled away from the rest of Africa, resulting in a deep rift, which at places has begun to fill in with water, forming large rift lakes. Another, the mid-Atlantic Ridge, is a deep underwater rift zone, where new oceanic crust is rising out of the rift, forming new ocean floor. Both are sites of regular and intense volcanic activity. Convergent tectonic plate boundaries occur where two plates meet. In the case of a heavy ocean crust meeting a lighter continental plate, the oceanic crust is forced underneath the continental one. This creates a steep and very deep oceanic trench close to the continental shelf. High mountain ranges are associated with subduction zones. The Andes mountains of South America, for example, have been created, and continue to grow, due to the subduction of the Nazca oceanic plate under the continental South American plate. However, if the convergent plate boundary is between two continental plates, neither is subducted. Instead, the two plates are pushed into each other and material is thrust upwards and sideways. This is the case of the convergent tectonic plate boundary between Asia and India. Where the two plates meet, the giant Himalayas have formed. These mountains continue to rise today as the two plates push farther into each other. Some plates simply slide past one another, forming a transform fault, or simply transform, boundary. Transform fault boundaries are typically found on the ocean floor, where two oceanic plates are sliding past each other. 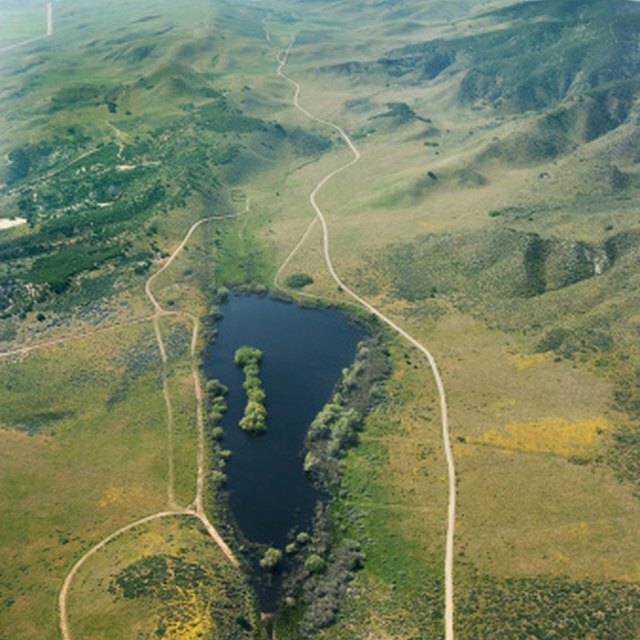 The San Andreas fault in California is a rare type of transform boundary that occurs on land. These zones are typified by shallow earthquakes and volcanic ridges. Tectonic plate boundaries that do not fall neatly into one of the above tectonic boundary types are called plate boundary zones. These boundary zones have plate movement deformation that occurs over a broad region, or belt. The Mediterranean-Alpine region between the Eurasian and African plates is a good example of a plate boundary zone. Here, several smaller fragments of plates, called microplates, have been discovered and described. These areas have complicated geological structures, such as volcano and earthquake zones, spread over a large region. What Plates Interacted to Form the Paricutin Volcano? Julian, Andrea. "Four Types of Boundaries Between Tectonic Plates." Sciencing, https://sciencing.com/four-boundaries-between-tectonic-plates-8542850.html. 24 April 2017.